Doha, Qatar – January 20, 2018 – A group of distinguished journalism and media professionals will be visiting Qatar as part of a delegation to Northwestern University in Qatar (NU-Q). The group, which includes key members of Northwestern’s Medill School of Journalism, Media, Integrated Marketing Communications’ Board of Advisors, will spend time in Education City to learn more about the University’s international campus. While in Qatar, the delegation, led by Medill’s Dean Brad Hamm, will meet with media, government, and educational leaders and will visit Al Jazeera among other venues. 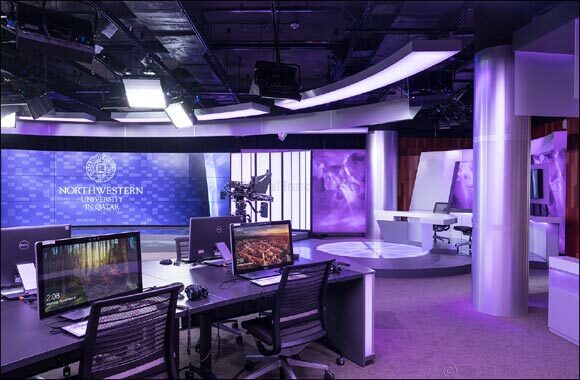 The group will also have an opportunity to explore NU-Q’s new building, which features one of the most technologically advanced newsrooms in the world along with other cutting edge technology. Members of the Medill Board of Advisers who will be visiting NU-Q are: Al From, a communications expert who founded the Democratic Leadership Council, which The New York Times called on of the “…most influential think tanks in history”; Rance Crain, president and editorial director of Crain Communications; Patricia Blackburn, an award-winning corporate communications executive; Sue Bohle, president of The Bohle Company; Scott Klug, managing director, public affairs for Foley & Lardner LLP and a former member of the U.S. House of Representatives; Elizabeth Heller Allen, senior counselor for PulsePoint Group; Andrea Cunningham, founder and president of Cunningham Collective and who worked with Steve Jobs in helping to launch the Apple Macintosh; David Louie, business editor and tech reporter for the ABC affiliate in San Francisco; and Thomas Schaffner, principal, founder, Schaffner Communications Inc. In addition to the members of the advisory board, other members of the delegation are Abe Peck, professor emeritus in service and director of business to business communications at Medill as well as Medill staffers Julie Fraha, Josephine Goldberg, and Beth Moellers. NU-Q, the 12th school of Northwestern University, offers degrees from the university’s School of Communication and the Medill School. Students enrolled in the Journalism and Strategic Communication Program at NU-Q receive their degrees from Medill. The program leads to careers as journalists, editors, and strategic communicators. In addition, many of the school’s graduates continue their academic careers at top international universities, including Oxford, Harvard, Northwestern, and Columbia. Medill is consistently ranked as one of the top schools of journalism in the United States and its alumni include Pulitzer Prize winners, national correspondents for major networks and publications, and leaders in the field of strategic communication.